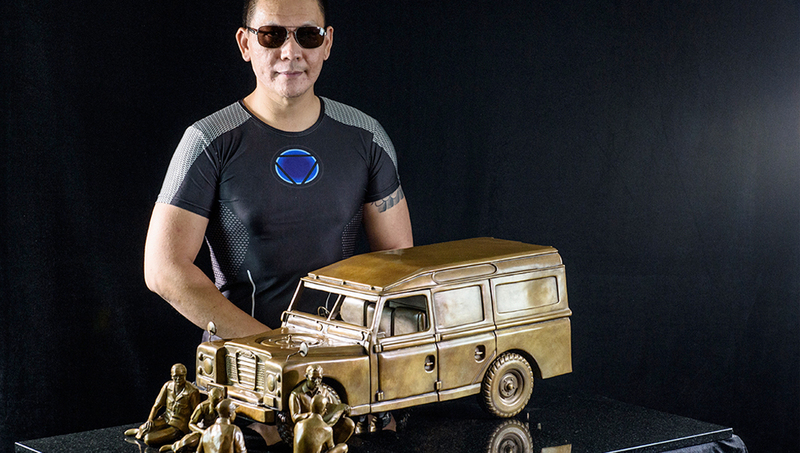 Sculptor and ZBrushCentral member Gomesh Karnchanapayap was recently given the honor of creating 9 bronze sculptures to commemorate the life of Thailand’s late king Bhumibol Adulyadej. Given a limited time period to complete the project, he employed the use of ZBrush and 3D printing to expedite the process. Gomesh has now shared the work with us on ZBrushCentral and given us some insight into the process which you can read about below! Can you tell us about the project and how you became involved? On Thursday Oct 13, 2016 – His Majesty King Bhumibol Adulyadej passed away at Siriraj Hospital at 3.52pm. His majesty was perhaps the most loved person of the Kingdom of Thailand for the hard works he had done for the country and his people. Upon his passing, I was honored and given a chance to produce 9 Bronze sculptures of the King. As the given time was quite urgent, the schedule was to sculpt and cast 9 Bronze Sculptures within 10 months, ZBrush was the key solution to the success of the project. Each of the sculptures would depict the life and deeds of his majesty King Rama IX. Currently the works from this series are being exhibited at 3 Galleries in Thailand. What is the story behind the piece you’ve share with us on ZBrushCentral? “Regalis Vehiculum” On September 1981, his majesty King Rama IX visited his subjects by taking Land Rover to the Southern part of Thailand in order to solve people’s hardship. Though this is a very famous event for Thai people there were very little raw resources about it. As a matter of fact, I was given one (quite blurry) photograph for this piece. How did you begin the process for creating the sculpture? 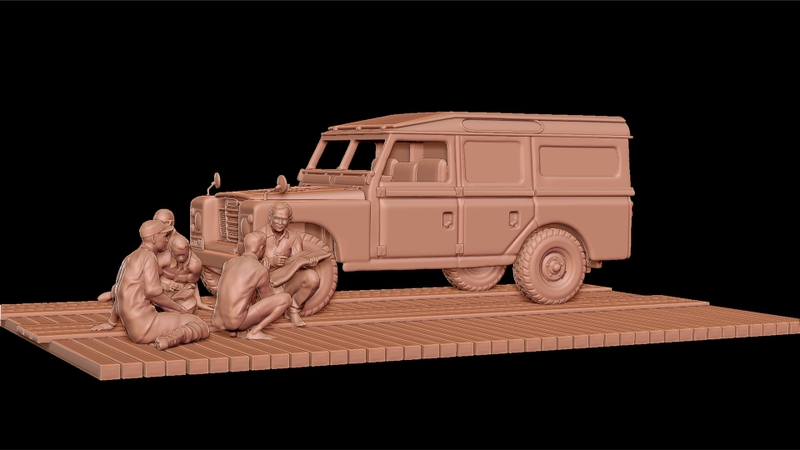 After the initial research to the vehicle and the people in the scene, I decided to plan my work into 3 phases in order to race against time–Digital Sculpting, 3D Printing and Sculpt clean up, Moulding & Casting in Bronze. 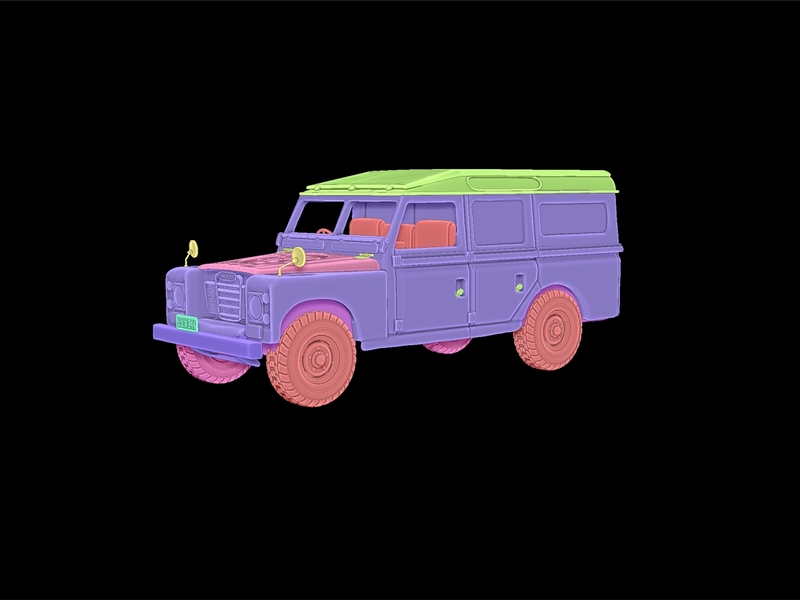 The Vehicle was done by blocking out the rough shape using ZModeler but quickly converted to Dynamesh to get a more sculptural feel required by the client. For other human figures, I extensively utilize mannequin to pose before turning them to Dynamesh mode. At the end of a day, I’d send the sculpt over to KeyShot to get a quick clay preview. This allows everyone in the project to review the sculpts easily. How did you bring the ZBrush sculpt from the digital world to a bronze statue? Once the sculpt’s completed, the entire model’s sent to OctoPrint – a professional 3D Print service in Thailand to output the model. Parts of the model’s 3D Printed using SLA while some parts were done in FDM. The process of sending the sculpt files to be printed was very smooth as Decimation Master allows me to reduce polygon count while retaining sculpt details. The Bronze was made with Lost Wax technique. ZBrush certainly played a vital role in this project. From the initial concept sculpt all the way to exporting for 3D Printing. Be sure to pay a visit to ZBrushCentral to see more pictures of the project and leave a comment for Gomesh!